Latisse: Start Growing Longer Thicker Eyelashes Today! Latisse is a prescription medication used to help grow fuller, longer, darker eyelashes. The only FDA-approved drug for eyelash growth, Latisse was originally developed as a glaucoma drug in 2001. Essentially a side effect of the topical glaucoma treatment, eyelash growth was later acknowledged and approved by the FDA in 2008 for that specific purpose. Since 2008, Latisse has grown in popularity. Not everyone is able to grow eyelashes; and even those that are able, may find it difficult to growth thick, full lashes. Hypotrichosis is a condition that is defined as an inability or inadequacy to grow eyelashes. Latisse can counteract the effects of hypotrichosis, helping to spur growth. However, Latisse can be used by anyone seeking to lengthen, darken or otherwise grow their eyelashes. Can Latisse Really Lengthen Eyelashes? Yes. Just ask the FDA. What isn’t entirely clear is how Latisse actually works to grow lashes. It is believed that the medication increases the eyelash hair growth cycle (anagen phase). This lengthened cycle spurs additional hair growth, while also increasing the number of hairs grown during that phase. According to clinical trials performed by Latisse manufacturer Allergan, patients treated with the prescription medication experienced a 25 percent increase in eyelash length, a 106 percent increase in lash thickness/fullness and an 18 percent increase in lash darkness. The active ingredient in Latisse is bimatoprost, a topical agent used to treat glaucoma. Patients using the medication to grow eyelashes use a sterile applicator and dab it on the upper eyelash line daily for a period of a no less than 16 weeks. Results may begin to be seen after 2 weeks of daily use. After 4 weeks, your doctor may alter your application schedule from daily use to every other day. Latisse need only be applied to the upper lash line because it is transferred to the lower lash line naturally as you blink. Before Latisse is applied to the upper lash line, the patient must first clean their face. If the patient wears contacts, they must also be removed prior to application. As with all medications, there are certain risks and potential side effects associated with Latisse. Although safe for most all users, people with certain eye conditions may not be a candidate for Latisse treatment. For instance, if you suffer from uveitis or conjunctivitis, you may be ineligible. Others who may find candidacy an issue are pregnant women, and people prone to skin infections or allergic reactions. Applicators must never be reused, otherwise patients run the risk of an allergic reaction or eye infection. If you are using a medication to lower intraocular pressure (IOP), you should speak with your doctor before considering Latisse. Bimatoprost – the active ingredient in Latisse – lowers IOP, and therefore could cause an issue when used in combination with any other such medication. Many people assume that Latisse must be kept out of the eyes; however this is not generally an issue since it is an ophthalmic medication. Some patients do experience dry eye or redness if they get Latisse in their eye. The cost of Latisse can vary from one provider to the next. 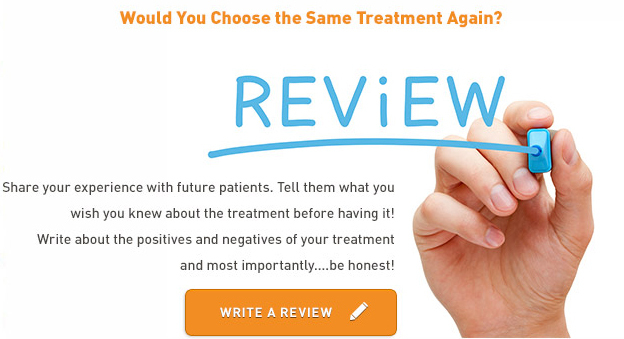 Dermatologists, plastic surgeons, ophthalmologists, OB/GYNs and primary care doctors all can prescribe Latisse. And price may fluctuate significantly as a result. However, on average, a 60-applicator supply of Latisse ranges between $110 and $130. To get a better idea of how Latisse can help you and what it might cost, contact a doctor to learn more.